The unique benefits of sour cherries (not to be confused with sweet cherries) first came to light in the 1990s, when numerous studies were published concerning the antioxidant content of this fruit. Further research has identified the active antioxidants as eight polypholic compounds, including anthocyanidins and quercetin.As well as potent antioxidants, anthocyanidins have been purported from studies to also possess anti-inflammatory properties. Furthermore it has been shown from studies on sour cherries that particular compounds found in these fruits may inhibit the inflammatory pathways associated with uric acid production. 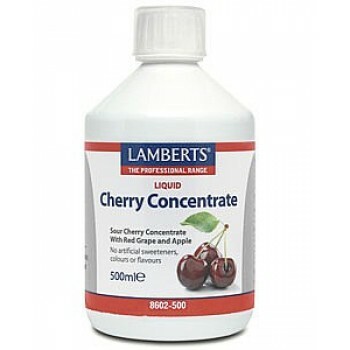 Lamberts Healthcare Cherry Concentrate is a sour cherry concentration that has been carefully processed to ensure the powerful antioxidant properties are retained. Sour cherries are thankfully not however a reflection of the taste of Cherry Concentrate, which is naturally sweetened with red grape and apple. Lamberts Cherry Juice Concentrate, Red Grape Juice Concentrate, Apple Juice Concentrate, Potassium Sorbate. 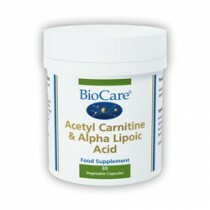 General use: as an antioxidant and support for the cardiovascular system, take 10ml (2 teaspoons daily). Sports use: for recovery after exercise, take 30ml (6 teaspoons) daily. Cautions To be stored in a cool, dry place, once opened keep refrigerated and use within 8 weeks and protected from light. Shake well before use.